The National Security Inspectorate (NSI) is recognised as the leading certification body for the security and fire protection industries in the UK. For over 40 years, we have helped protect businesses and homeowners by providing robust, high quality audits of home security, business security and fire safety service providers. Businesses and homeowners who choose NSI approved companies have the reassurance that their contractors will work to the highest industry standards demanded by the Police, Fire and Rescue Services and the insurance industry. 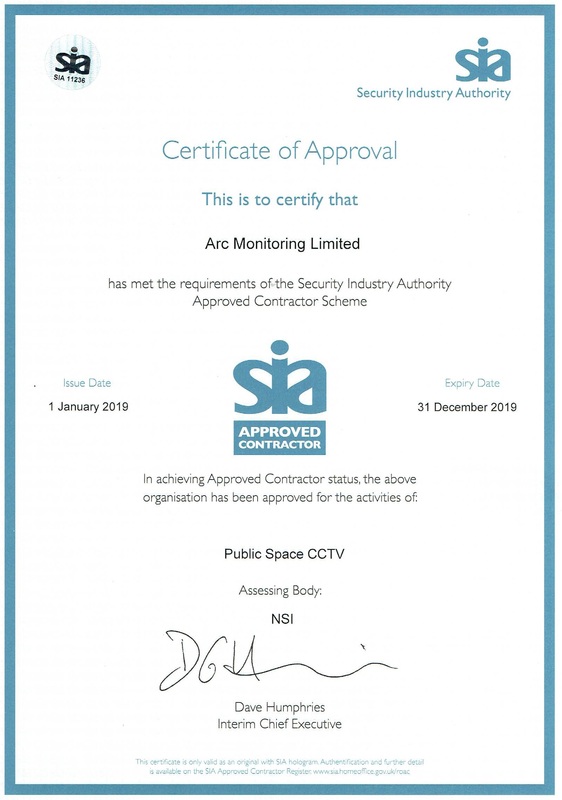 Arc Monitoring currently hold SIA Approved Contractor Status for the provision of Public Space Surveillance CCTV Services. The Approved Contractor Scheme sets the operational and performance standards for suppliers of private security services. The organisations that meet these standards are awarded Approved Contractor status. This accreditation provides those who choose our private security services with independent proof of our commitment to quality. 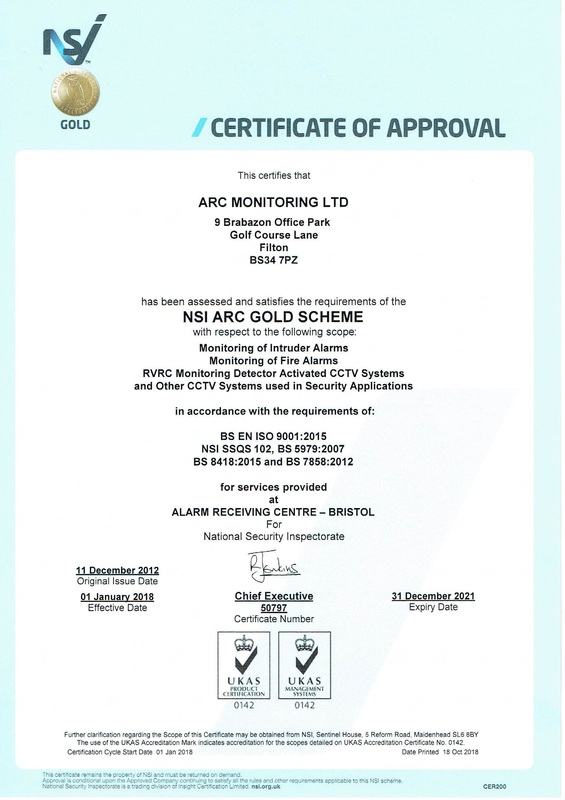 As required by law, all our CCTV operators are SIA licensed, which means they are ‘fit and proper’, fully trained and qualified to do their jobs. BSIA members go through rigorous checks to qualify, demonstrating their commitment to providing professional, high-quality security solutions. Independently inspected with a UKAS accredited inspectorate. Compliant with relevant British Standards and Codes of Practice. Staff are vetted (where appropriate). Committed to quality training and development. Up-to-date with the latest developments in British and European policy and legislation. Offer your customers the support of our industry-leading services and find out how we can help your business grow, with 24/7 back up for your sales and installation teams. For more details, fill out the form below and we will be in touch soon or call us today.